The power of visualization lies in the humain brain. It’s a power that has been used for 50-60 thousands years. It’s one of the finest tools for creating personal change and achieving tremendous success in your life. You have probably heard about it before and have even used it unconsciously. In fact, you are using it every day and every minute. It is your inborn power of imagination you use constantly, whether or not you are aware of it. It is an extremely effective tool for enhancing human performance in various endeavors. Athletes have used it to achieve great results. People from all walks of life have used it to increase sales, decrease stress, promote career advancement, heal the body, and inspire self-confidence. I can even argue that every big discovery in science was as a result of using the power of visualization. In fact Aristotle the Greek Philosopher and Scientist even said that “the soul cannot think without picture”. First of all you have a though picture and you translate it into action. In simple words, visualization is the ability to see in the mind’s eye. In other words it’s sensing or seeing with your inner mental eyes. Visualization always involves seeing. It is a technique of using your imagination to create the life you want. It’s not uncommon for people to complain that they don’t see anything when asked to visualize while others are able to “see” things in the mind’s eye when they close their eyes. It’s not too important that you see or visualize with great clarity and vividness in order for visualization to be effective. What is more important is the control of your visualization. With time, visualization has evolved into a science with clear guidelines when mastered can produce predictable results. In this article, I will share several techniques about how to use your natural power of imagination in a more conscious way to create what you truly want in life: fulfillment, health, prosperity, inner peace and so forth. As I explain in the law of attraction article, we always attract into our lives whatever we think about the most, believe in and/or imagine vividly. If we think negatively, we will attract unpleasant experiences, situations and people we are trying to avoid. On the other hand if we constantly have positive thought, we tend to attract situations that conform to our positive expectations. Hence the key is to consciously imagine what we want in order to help us to manifest it in our lives. You will recall that I mention visualization as a power in the human mind. 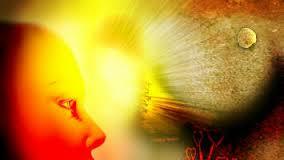 Indeed our mind has two levels: conscious and unconscious. The conscious level is the one at which we think, plan and make decisions. Underneath this level lays the unconscious from which our thoughts actually arise. The unconscious mind influences our lives without us being aware of it. Renowned psychiatrists such as Carl Jung have proven that the way the unconscious mind communicates is through images and pictures (rather than words). This is why being able to “see” in the mind’s eye or imagination can helps us harness the power of the unconscious to progress in important areas of our lives. By visualizing what we wish to achieve, it is possible to convey to the unconscious mind that this is not only something we want but it is within reach. As I pointed out in the introductory paragraph on this topic, some people don’t actually “see” a mental picture or image when they close their eyes. When they first try to visualize they worry that nothing is happening. If you are part of this group, don’t concern yourself too much. There is no right or wrong way to visualize, you simply need to relax and let the process happen naturally. It is not necessary to mentally see an image. Some people claim to see vivid, clear images when they close their eyes. Others don’t see anything. This is perfectly ok. The most important part is to know what kind of visualizer you are and let nature take its course. You may encounter instances where some people would block their ability to visualize simply because they are afraid of what they might discover about themselves through the process. Problems with visualization are rare and you will discover that the more you practice it the easier it will become. Decide on something you really want. If you don’t know what you want, you won’t know when you have achieved your goal. You need to create a mental picture of your goal in the achieved state e.g exactly how you want it. Bring your idea to mind often. Focusing on your goal will make it a part of your life and more of a reality. As you focus on your goal, think about it in a positive state of mind. This positive energy will attract more of the same in your life. 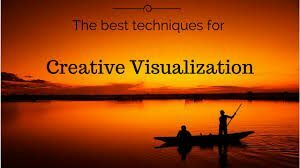 Dr Lee Poulos in his audio program “the power of visualization” describes 6 visualization techniques you can use to leverage the creative visualization process. As with any new skill or process you learn, the more techniques you have at your disposal the easier it will be to adapt and make changes depending on the challenge. The availability of various techniques also helps avoid the boredom of using one technique over and over again, increases the likelihood of finding the goal/technique combination that is right for you. Different techniques ignite different part of the brain thereby mobilizing and bringing more of your brain’s cells into play. It is recommended not to go beyond 30 seconds at one time for all visualizations. In this technique, you create a montage or collage featuring five or six mental snapshots of different aspects of your goals having been achieved. This is the most popular technique also referred to as a goal board or vision board. Dr Lee reported that he had a sales person friend with a goal of boosting his earnings to over $100k/year. He created a collage that consisted of an image of him receiving the best sales person of the year award, purchasing a new condo, seeing himself taking his wife to Maui to celebrate, buying a new set of golf clubs and visualizing his pay cheque slips with his goal of higher earnings. He focused on one image for 2-4 seconds, onto the next one for 4 seconds until all the images are pumped into his mind within 30 seconds. Here you take an end-goal picture and mentally flash it off and on, slowly at first, then speeding up, repeating the pattern until the image “takes” and ignites after 30 seconds or so. Like a computer screen with a small colored dot in its center, within 30 seconds thousands of colored dots will begin appearing to generate and create the pattern and mental picture of your end goal. This is an active visualization involving colors and movements. Mentally project beams of light or energy from your forehead, your heart and your solar plexus, each projecting an image of your end-goal, creating a 3-D holographic image. This is symbolically programming your goal from your mind, heart and also from what is referred to as your power center or plexus. After picturing an old, pre-goal condition in drab colors, whoosh it away and replace it with an image of your goal achieved, painted in an explosion of bright colors and glistening with energy. Go back and whoosh or erase the old image away replacing it with your new desired picture back and forth 6 or 8 times in a 30 seconds programming time. Picture yourself inside your body looking through your eyes at a completed goal, then dissociate outside of your body and watch yourself as an observer in the goal picture. For 30 seconds go back and forth in and out of your body creating different perspectives for your subconscious to begin programming your goal. For the first 1-2 weeks use a collage or montage series of your images. As you go back and forth between your 6 images, you will find yourself more downed to a specific one which resonates with you. That’s the one image you could use as the main representation of your goal. Do your mental programming in an enthused, excited state as if you have already achieved your goal. Projecting gusto into your programming mobilizes the limbic system, your emotional mid-brain. Use of all your brain when visualizing. The ideal brain states for effective visualization are the synergy of your mind-brain, the focused intent of your left brain and the playfulness or lightness of your right brain. Use symbolic images of your goals for powerful, effective, real-life imagery.